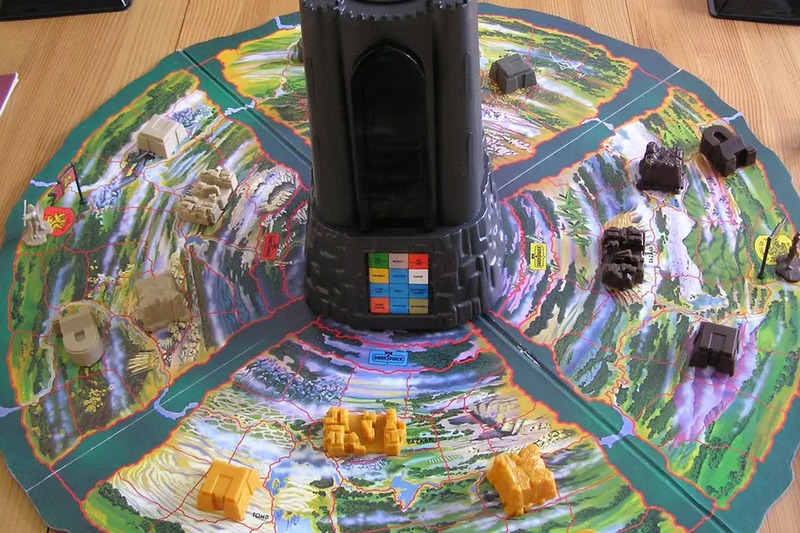 Restoration Games is bringing back the classic board game Dark Tower, which was one of my favorite games when I was in junior high. I played that game soooo much, bit with family and friends, and at times just me. The interactive electronic tower made each game a unique experience. Here's an article about the relaunch and the Restoration Games site where you can sign up for the newsletter to be kept up to date on the project. I saw a near complete copy of the classic game at the toy show 2 weeks ago and nearly bit on the $100 it was going for but ultimately passed. I just may have to support this kickstarter though. I had that game, though I remember my board looking less green, more brown. I quickly figured out that if I kept hitting sanctuaries and my home base, I had a massive army and couldn't die. The only problem was that the tower system started getting twitchy relatively quickly and I don't recall the game working after about a year.